The Death has taken place of Msgr. Joe Quinn p.p. Knock.Msgr. 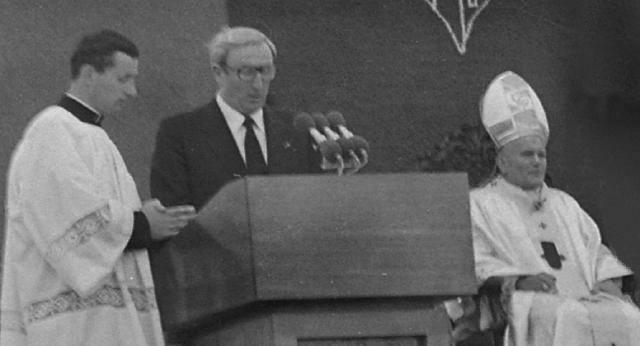 Quinn was Photographed with Pope John Paul when he Viited Knock during the Papal Visit to Ireland in 1979, also in Photo the late Dennis Gallagher T.D. Achill Island. Photo Tom Campbell.